This post contains affiliate links. If you click on one of the links and make a purchase, I will earn a small commission. It's officially spring, which means Spring Break and time to spend time at the pool or at the beach! I'm such a fan of high-waisted or fuller coverage swimsuits. I've always liked the higher waists, because I'm just much more comfortable with something high to tuck in all those unattractive pieces (you know what I'm talking about). 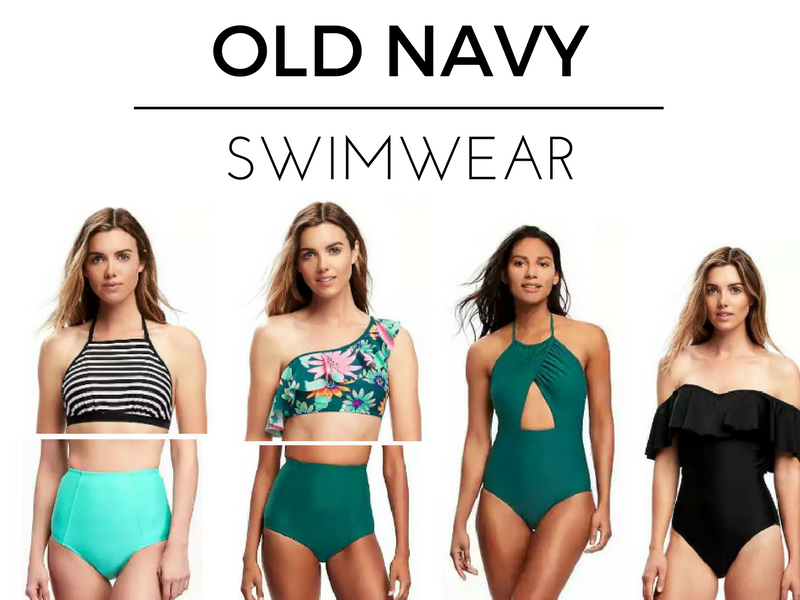 I bought the Old Navy tropical green bottoms and a similar high-neck top last year, plus the Forever 21 caged bottoms, which a matching strappy top. Unfortunately, I only went swimming once last year, so those swimsuits are both still in top shape - and hopefully, I'll get more use out of them this year. I just wanted to share some inexpensive favorites with you all, so you can grab some good ones before they're all gone! 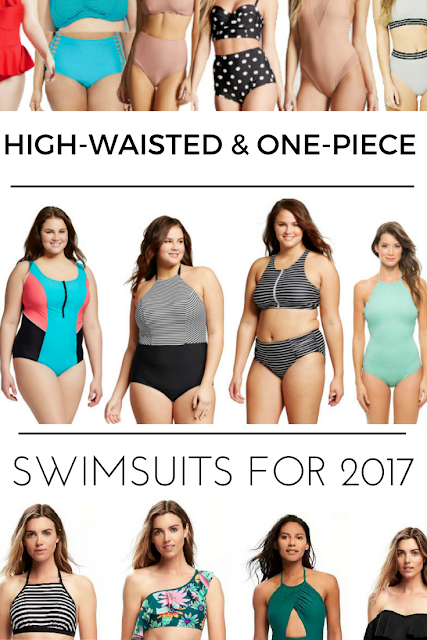 Striped high-neck top & tropical green bottoms | Floral ruffled one-shoulder top & teal bottoms | Wrap-front one-piece | Ruffled off-shoulder one-piece | Also check out the similar options Old Navy has in plus-size swimsuits. Which ones are your favorites? Where do you usually purchase your inexpensive swimsuits? Ah...swimsuit season. I have such a love/hate relationship with it, ha ha. I really love both of the one pieces from Old Navy! I feel like their swimsuit line has really stepped up the game the past couple of years. Do you like the Old Navy bottoms? I also prefer high waisted ones, but sometimes they're almost too high! YES! I love the ON bottoms. And I usually like my bottoms higher - these hit right around the belly button, so not too high! You would probably love them. Yes. I have to switch around sizes there all the time. It's so odd. I hope you find some suits you love! So cute! I want to get some high waisted suite this summer! Yes! They're my favorite. They make me feel so confident!